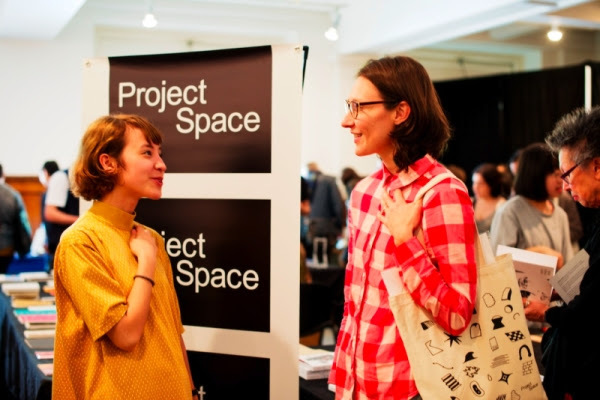 On behalf of our Board and the volunteer team at Project Space I’d like to thank everyone who attended the 2014 Vancouver Art/Book Fair—visitors, exhibitors, presenters, volunteers—as well as our generous sponsors, who made our third year an absolute success. The event was attended by over 2,300 people—nearly double the number of visitors we had last year! 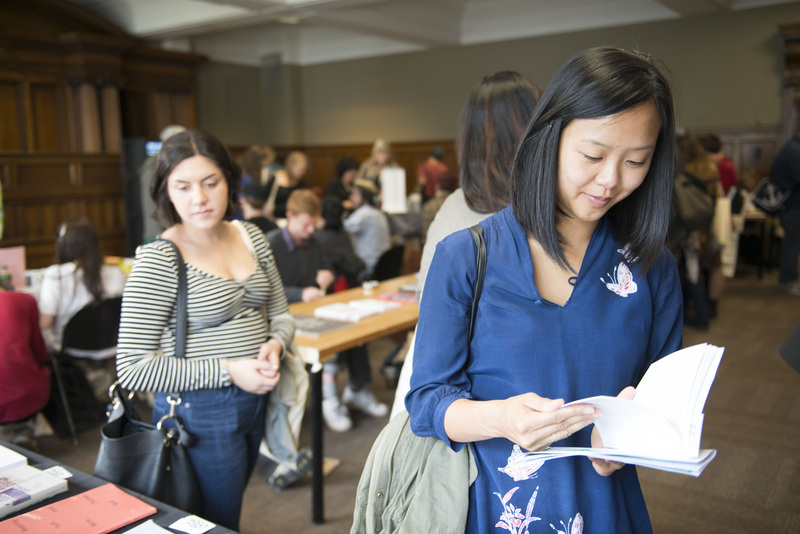 At the heart of the fair were three rooms of exhibitors that featured the work of over 100 publishers, many of whom travelled from near and far to share with Vancouver audiences. 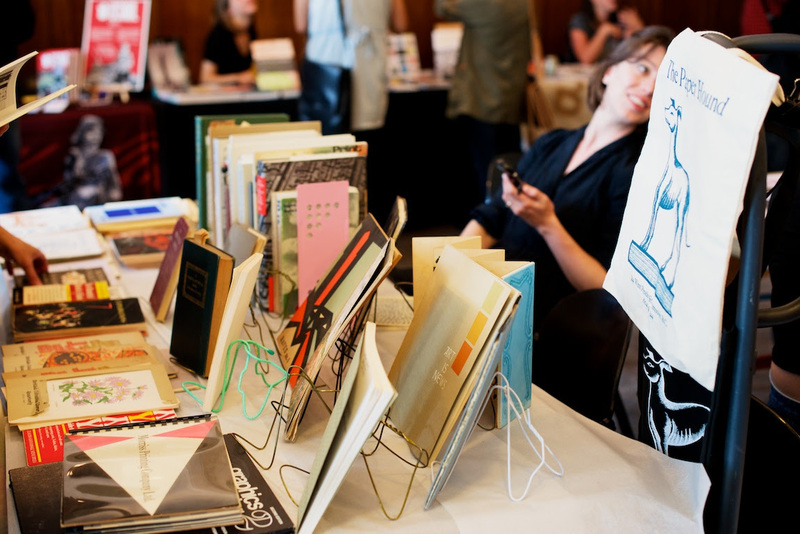 Hailing from such cities as Vancouver, Victoria, Mayne Island, Saskatoon, Toronto, Cleveland, Girona, Zürich and Taichung City, these publishers demonstrated the passion and energy evident across the spectrum of artist publishing. Thank you and congratulations to all of the exhibitors, whose participation forms the bedrock of this burgeoning event. 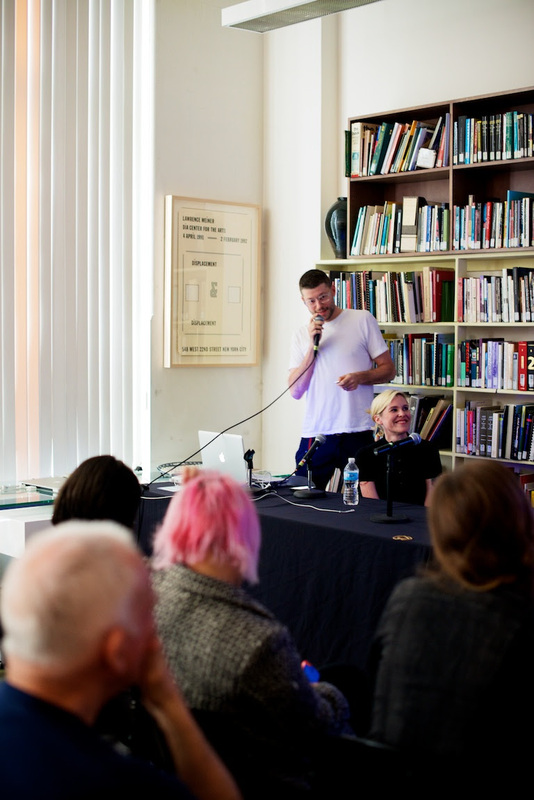 Over two days VA/BF featured eight talks and performances that attracted 296 audience members, as well as six artist projects, OuterSpace Mobile Art Gallery, an Art & Coffee Lounge and the Vancouver Art Gallery Library Book Sale. 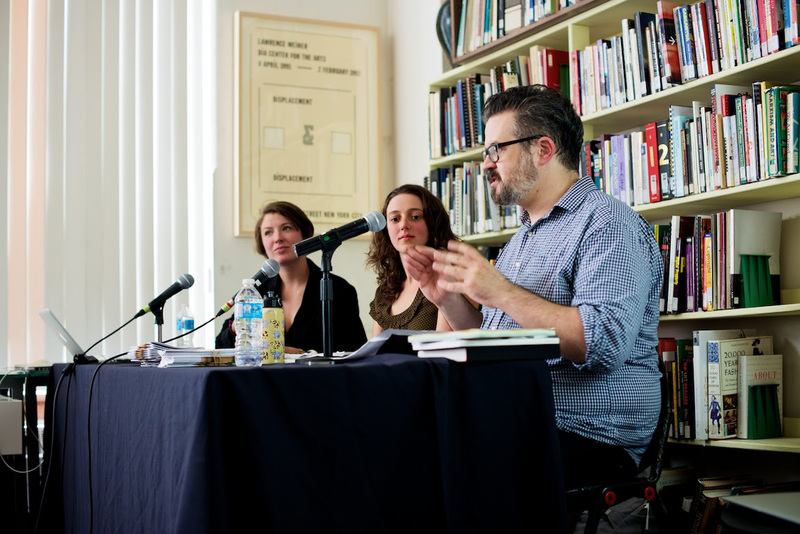 Our programs ranged from a panel about artist-run publishing in Canada to a performance in honour of the launch of Jordan Abel’s Un/inhabited, and were presented by artists from Vancouver, Sao Paulo, New Haven, Los Angeles, Stockholm and San Francisco. 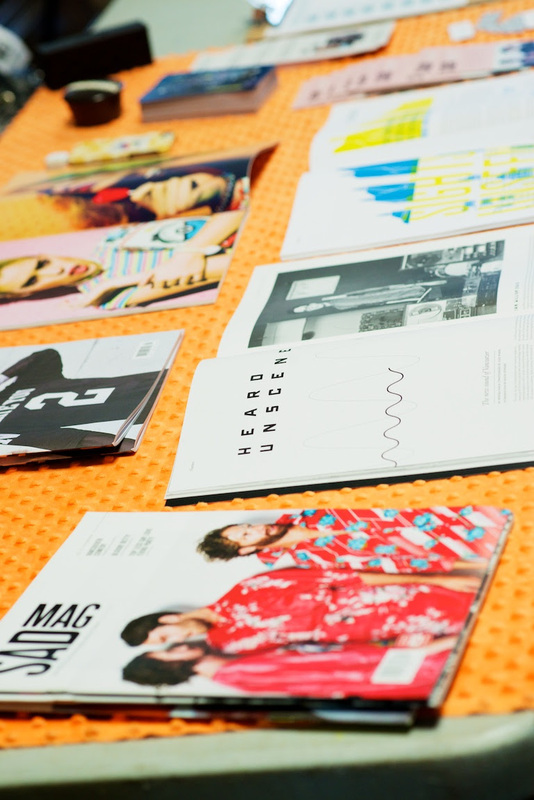 Thank you so much to all the presenters who generously shared their work and contributed to a dialogue around the medium of artist publishing. Thank you also to everyone who participated in the first ever Artists’ Books Week; I had the pleasure of attending many of the events and was thrilled to see the artist publishing conversation sparked during VA/BF expanding to include a variety of voices and spaces across the city. 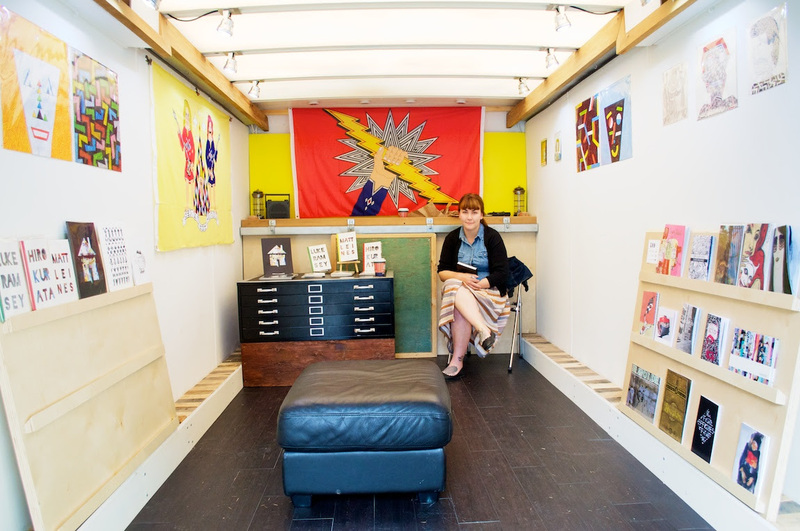 It is incredibly important to us that the fair remain free and open to the public. Thank you to the funders and partners who continue to make this possible, specifically all of those listed below and theVancouver Art Gallery, City of Vancouver, Canada Council for the Arts, Georgia Straight and theDowntown Vancouver BIA. Of course, thank you to every intern and volunteer that worked on the fair and especially those who took leadership roles: Asia Harvey, Mel Trojkovic, Sean Scott, Sarah Davidson, Vicky Lum, Yu Su, Julia Hong, Jessie McNeil, Jaz Halloran, Brynn McNab and Christy Nyiri. And heaps of gratitude as well to the staff at the Vancouver Art Gallery, who ensured that our event went off without a hitch. 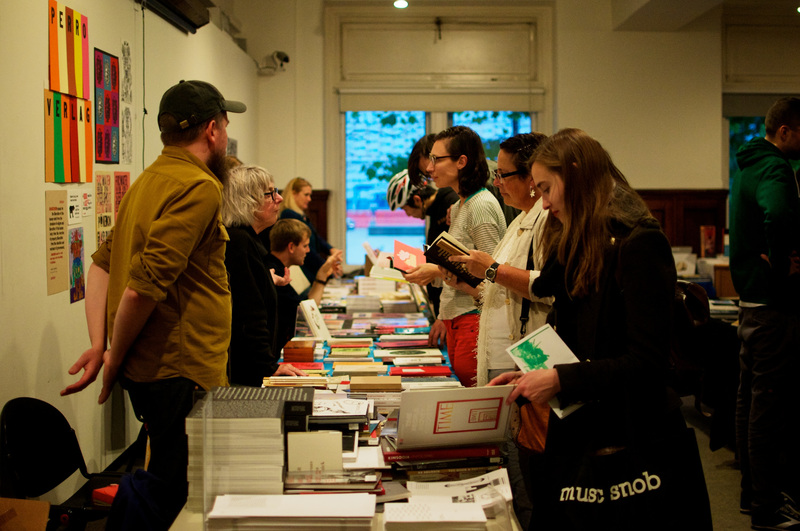 We have been completely overwhelmed by the community and connections that VA/BF has generated over the past three years and we look forward to bringing Project Space’s Members together over the coming year to continue this dialogue around artist publishing. Below you’ll find a link to the VA/BF 2014 visitor experience survey (answer 10 questions and enter to win great prizes! ), more info about becoming a Member and photos of this year’s fair by Jon Vincent Ragay and Colby Ferguson. We already can’t wait until 2015. 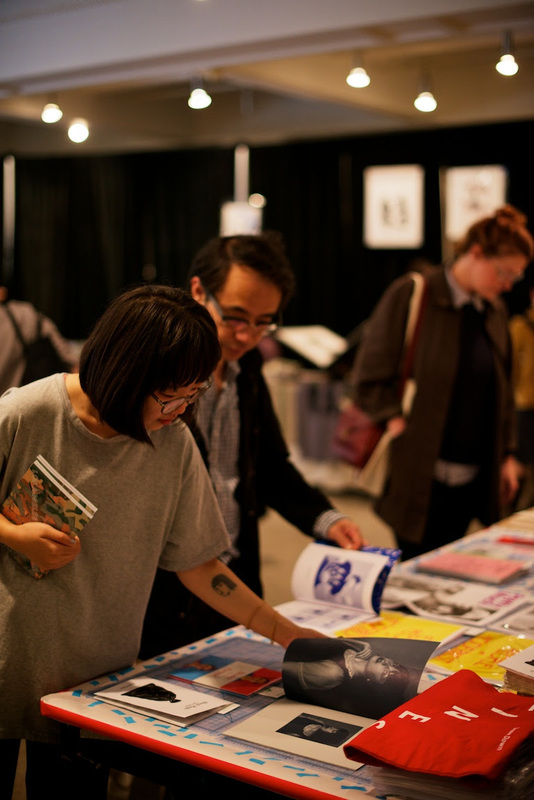 Special thanks to everyone who made VA/BF 2014 possible and contributed to its success, including the Vancouver Art Gallery, the City of Vancouver, Canada Council for the Arts, The Georgia Straight,the Downtown Vancouver BIA, SAD Mag, Discorder, Yishu, Geist, Foam, C Magazine, Fillip, I Hate My Acne, SFU’s Canadian Centre for Studies in Publishing, Ethical Bean Coffee, Paper Pusher, The Keefer Bar, Bandidas Taqueria, Modo The Car Co-op, Brick Press and The Paper Hound.